Kiwi AC & Heating has enjoyed serving our neighbors in North Dallas and the surrounding communities since it was founded in early 1997. We take great pride in being able to provide a full range of heating and cooling services for our customers. Kiwi AC & Heating is here to provide comfort for your home and business 24/7. We believe that every homeowner should be able to take advantage of excellent HVAC services, no matter how hot or cold it is outside, which is why we deliver premier customer service at excellent prices. We install, repair, replace, and maintain both high–end and budget equipment, and we offer unique solutions that take the design of your home as well as your comfort needs into consideration. Our highly trained technicians use state of the art equipment and techniques to locate problem areas and maximize efficiency, thus providing you with the most healthy and comfortable home possible. Call or email the Kiwi AC & Heating experts today to find out more about what we can do for your home! Want to know more? Give us a call and we'll be happy to answer any questions you may have. You can trust Kiwi AC & Heating with all your home service needs. Kiwi AC & Heating serves Dallas, TX and surrounding areas. 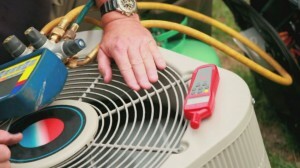 We offer residential and business services for air conditioning, heating, new HVAC installation and maintenance.